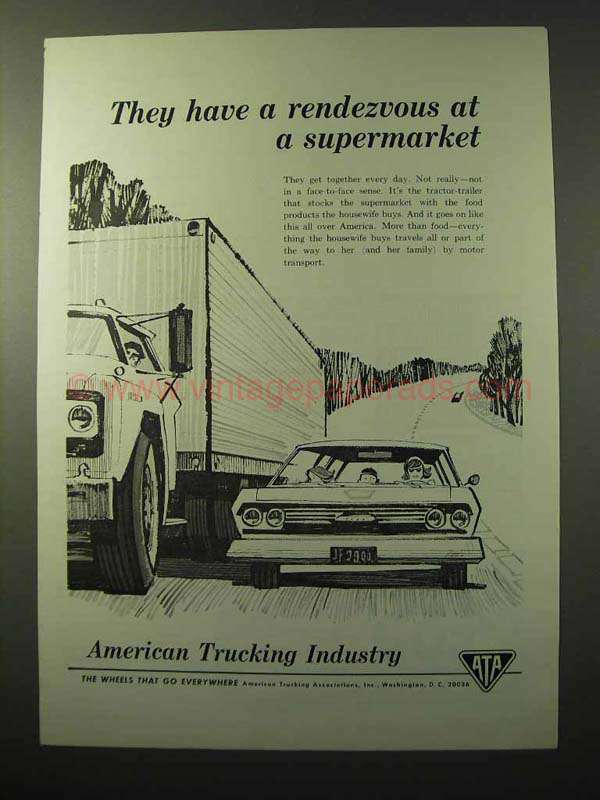 This is a 1964 ad for a American Trucking Industry! The size of the ad is approximately 8.5x11inches. The caption for this ad is 'They have a rendezvous at a supermarket' The ad is in great condition. This vintage ad would look great framed and displayed! Add it to your collection today! 1970 American Trucking Association Ad - Pretty Face?